Is an Estate Plan Really Worth Setting Up? Many people start an Internet search to see if having an estate plan is really something one should work toward or simply settle for some sort of simple Will. If you have any real estate, bank accounts, investments, or a retirement plan we can assure you that a simple Will (while better than no Will) is not the best choice. An Estate Plan is the way to go, takes a small investment of your time, and is affordable for any budget. Are you seeking guidance in drafting an estate plan so you can pass your assets to your loved ones? If so, it is important to seek experienced legal assistance to prepare a thorough and comprehensive estate plan for the distribution of your assets. 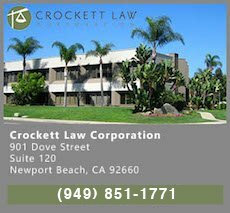 Orange County Estate Planning Lawyer David Crockett has more than 30 years experience in this complex legal field. In fact, Mr. Crockett set out at 18 years of age to pursue the education necessary to be THE EXPERT in Orange County Estate Planning and has never looked back! 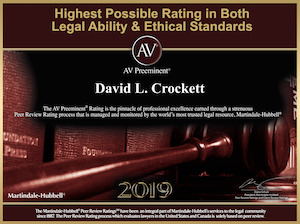 Estate Planning Lawyer David Crockett purposed his education and professional goals such that he would earn a remarkable set of expert qualifications so he could be the BEST Estate Planning Lawyer one could find in Southern California. Mr. Crockett not only earned his business and accounting degree at UC Berkeley (B.S.) but also his Law Degree at UCLA (J.D.) to become an Estate Planning Lawyer and Tax Law Attorney. Next, David continued his training by working for a national CPA firm and earned a coveted Certified Public Account (CPA). To complete his triad of degrees and professional goals, David became a Licensed Real Estate Broker to better serve his cherished clients. The Primary Estate Planning Document is the Revocable Living Trust – it is the cornerstone of most competent estate plans. A Revocable Trust becomes a separate legal entity that holds your assets. Changing title of your various assets is referred to as “funding” your trust. You must transfer those assets you want as part of your trust (e.g. your house, real estate, bank accounts, investment accounts, etc.) into the Trust. Once your assets are held in Trust, they will generally avoid an expensive and unnecessary probate. Having an Estate Plan benefits you and your loved ones in the event of your incapacity and upon your death. Setting up an Estate Plan now, while you are mentally and physically healthy, will enable you to decide on the appropriate people to handle your affairs. If you pass without an estate plan, the Probate court will appoint a conservator should you become incapacitated and will appoint an administrator upon your death that includes expensive mandatory attorneys fees. For example, mandatory probate attorneys fees on a $1.5 million estate are $28,000 but if you have a Living Trust and avoid probate, the fees to administer the estate are typically less than 1/3rd of that. The Probate court will also appoint guardians (who you might not agree with if you were alive to object to the choice) for your minor children. By making a savvy decision and set up an Estate Plan now, you will make these life-changing decisions yourself instead of leaving it up to some complete stranger at the Probate court. 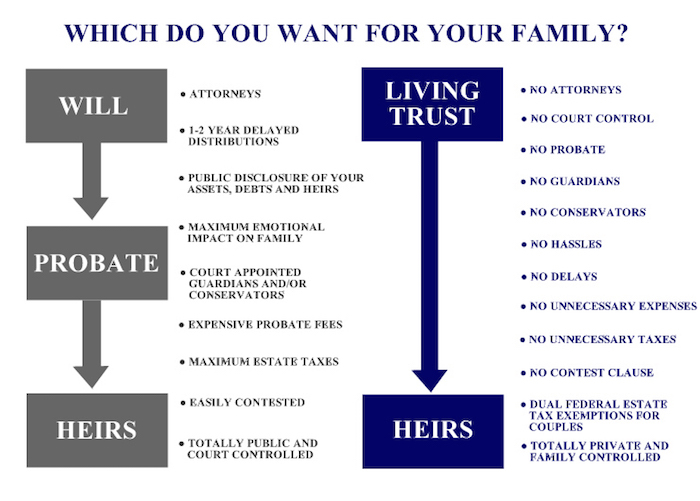 You can choose your beneficiaries instead of a stranger in the Probate court decide who gets what and when for you. You can decide the timing of distributions to beneficiaries you select instead of having them receive their entire inheritance at your death. You can avoid burdening your kids and beneficiaries the otherwise unnecessary cost of paying for a Probate case that could go on for 1 of 2 long years after your death. You can prevent your heirs from face a huge and unexpected tax bill to pay when they should be celebrating your life and getting on with their lives without you. You can make sure your survivors are not surprised and burdened with unnecessary capital gains taxes that could have been avoided or minimized with just a little pre-planning. Once you have your estate plan set up, you can rest easy knowing that everything is in order for the future. Your kids and/or beneficiaries will be so grateful when they learn the bullet they dodged because of your savvy decision to prevent them from having to immediately be immersed in untangling your lives should you choose to leave no Will or Estate Plan. They could face a one to two year legal mess of Probate court, unnecessary legal expenses, unnecessary capital gains taxes and all sorts of unforeseen problems that your passing forces upon the ones you love the most — should you procrastinate and do nothing in planning for your own passing. Avoid Probate at all Costs! You have probably learned by now, that the PRIMARY GOAL in estate planning is to help your family avoid costly and stressful probate. David Crockett will personally help you draft a detailed Will and Trust, including a Living Trust. 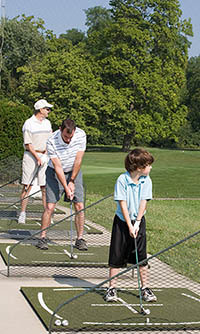 Most estate planning is based upon Federal laws (e.g. estate taxes), but there are various state laws that affect your state plan form state to state in the U.S. (e.g. state income taxes), and county level considerations that need careful consideration (property taxes), therefore it is strongly advised that you work with an experienced estate planning attorney who is familiar with Federal, state, and county taxes and the consequences of a carefully-crafted estate plan. Attorney, Certified Public Accountant & Real Estate BrokerConveniently located in Newport Beach near the John Wayne Airport; catty-corner from Fletcher-Jones Mercedes; —right behind the rear entrance of Newport Lexus on Dove Street [MAP to Office] — we advise individuals, families, property owners and business owners in Orange County and beyond. We prepare and analyze nearly every type of document including financial statements, tax returns, tax statements, escrow statements, deeds, real estate contracts and loans, leases, wills, trusts, lawsuits and probate court papers.